It is possible to cash out winnings from a no deposit bonus. Since the funds you were playing on were given to you by the online casino, they get to decide the rules for it. The terms and conditions can vary based on that entity. It is important to read the terms and conditions before you sign up. Then you will know what you can do and what you can’t. Some players get the idea they can just jump from one online casino to the next is the quest for no deposit bonus funds. What they don’t realize though is plenty of these sites are owned by a central entity. The information is in a database. If you get one of these bonuses but you never make a deposit of funds, don’t expect to get such a bonus the second time around so easily. You will quickly get identified as a bonus abusers and they may even block you from playing on certain sites. With the advances in technology, it is easier and easier for online casinos to track those that try to take advantage of no deposit bonuses with no intention of every playing with their own funds. Their goal is to prevent that from happening so they can continue to offer the very best gaming experience for their legitimate players. Online casinos offer no deposit bonuses in order to entice you to play their games. They don’t want you to just take that money and run. That is why they often have play through requirements in place. This means you may be required to wager with that money for a set period of time before you would be able to withdraw it. You may have to play a certain amount of money before you can make a withdraw. 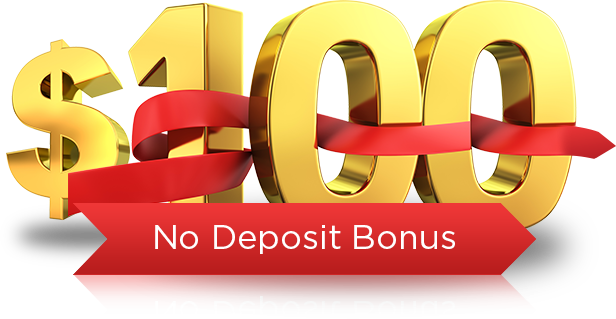 There could be a withdrawal minimum and that can be below the amount of the no deposit bonus. Know what you will be required to do before you qualify for any such withdrawal. Otherwise, you can be disappointed when the casino tells you the funds can’t be withdrawn at that point in time. A reputable online casino is going to make these play through requirements easy enough to achieve. If the requirements seem impossible to meet, then that isn’t a good casino to sign up for. The same is true of the requirements are written in a way that is difficult to understand. The no deposit bonus money may only be allowed to be used on certain types of games. For example, you may be able to use it for slot machine play but not table game play. Take a look at what you will be able to use the money on. If there aren’t games allowed you enjoy playing, it isn’t going to be worth your time to create an account with that online casino. However, the free funds could be a wonderful way for you to open up and try some new games. Maybe you wouldn’t be comfortable enough doing so with your own money being wagered. Yet the freedom is there due to the no deposit bonus. You aren’t out anything if you lose that money while learning new games. Cashing out winnings from a no deposit bonus doesn’t have to stress you out. However, you do need to follow the policies and procedures for that particular online casino. Some of them don’t allow you to cash out of no deposit bonus funds. You either play the games they offer with it or you leave the funds in your account. Don’t be intimidated when it comes to successfully cashing out winnings from a no deposit bonus. If you have used that free money to play and earned coins from it, you can follow the terms and conditions of the site to receive them. Customer support can help you too if you have any questions during this process. Take the time to read the information posted on the site though as it is usually going to be very well explained.